It's a snap to change your dividend reinvestment online. Mutual funds offer many benefits beyond professional management of your investments. Fund companies keep track of all of your transactions and provide you with timely performance information. They also provide important services, such as tax reporting and automatic reinvestment of dividends. You can manage your reinvestment preferences easily on the account maintenance page. A fund’s investment manager is responsible for buying and selling the stocks or bonds in the fund’s portfolio. The result is income from stock dividends and bond interest, as well as capital gains and losses from the sale of portfolio securities. Tax laws require that mutual funds distribute virtually all of their income and gains to shareholders. In this way, funds avoid paying taxes; that honor falls on shareholders instead. Funds distribute income and capital gains separately. The net asset value per share -- equal to the portfolio value minus expenses -- of your fund drops by the amount of the distributions. Mutual funds normally allow you to take your distributions as cash or to reinvest them in additional shares. You can own fractional shares in a mutual fund, so you can reinvest the full amount. If you choose to reinvest, the distribution amount increases your cost basis -- the amount you've paid for shares -- in the fund. This is a form of compounding, because the shares you buy through reinvestment generate additional income and gains. If you prefer not to reinvest, the fund deposits the distributions in your account’s money market fund, although funds will also send the cash to your bank account or mail you a check. Most mutual fund companies offer online account management services. Normally, the fund has a distribution preference page that allows you to set each of your accounts. You can choose to reinvest both your capital gains and income, or neither, or one but not the other. Mutual fund families might allow you to divert the distributions from one of your accounts into another. For example, you can instruct the fund company to reinvest the distributions from a bond fund into a stock fund. Reinvestment doesn't affect the tax you owe on distributions. Distributed interest is normal income, unless the fund owns tax-free municipal bonds. 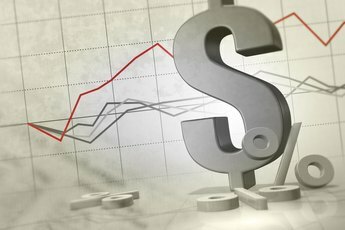 Most stock dividends from U.S. corporations qualify for long-term capital gains rates, which range from 20 percent to 0 percent, depending on your gross income. All capital gain distributions from a mutual fund are long term, no matter how long you've owned the shares. If you do reinvest distributions, your gain or losses from the sale of shares will reflect the costs of the shares you buy through reinvestment. Your mutual fund company will send you tax forms in January that provide the information you need to report your investment income and gains. You can also automatically reinvest the dividends received from stocks you hold in a dividend reinvestment plan, or DRIP. 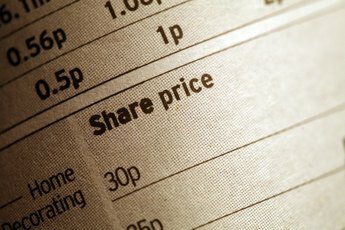 Corporations offer these plans to shareholders, who can buy shares without a broker and own fractional shares in the DRIP account. If you have DRIP shares and don’t want the dividends reinvested, inform your plan custodian either online or through a phone call. Of course, this defeats the reason for belonging to a DRIP, but normally the plans will be happy to accommodate you. Bankrate: Dividend Reinvestment Plan or Mutual Fund? Based in Greenville SC, Eric Bank has been writing business-related articles since 1985. He holds an M.B.A. from New York University and an M.S. in finance from DePaul University. You can see samples of his work at ericbank.com. Do I Have to Declare Reinvested Dividends? Does Reinvestment of Dividends & Capital Gains Increase the Cost Basis of Mutual Funds? 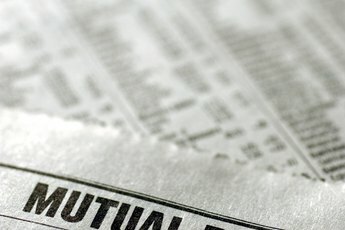 How Do I Get an Income Stream From a Mutual Fund? Should I Reinvest Dividends & Capital Gains From a Mutual Fund? How Does a Capital Gain Dividend Affect Adjusted Cost Basis? 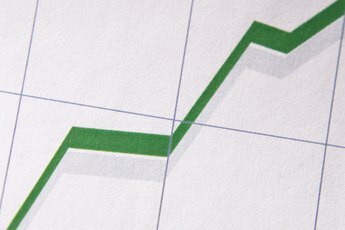 What Is the Meaning of Compound Dividend? Can Bond ETF Dividends Be Reinvested Commission Free?